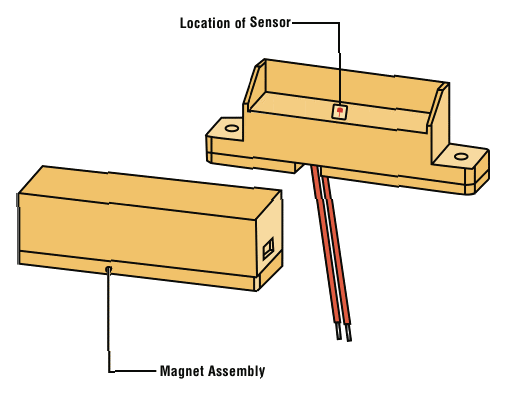 The 042 sensor/magnet assembly can be used to sense the position of out swing doors. The unique construction of the case, coupled with the MAGNASPHERE switch technology, provides protection against magnetic tamper by an insider having access to the sensor. Ideal for use with any commercial or custom security or alarm system. Use with 039 magnet actuator.